Almost one in four couples are now opting for a destination wedding* and it’s easy to see why when you consider the benefits. When it comes to planning your destination wedding however, it can be difficult when you’re unfamiliar with the destinations and live so far away that you’re unable to visit the venues or meet the vendors in person. 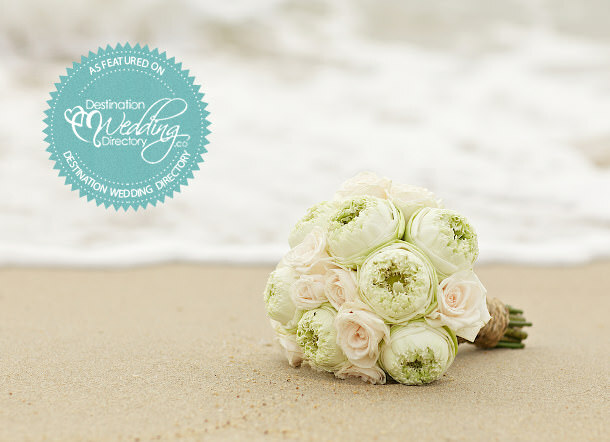 Our destination wedding directory has hundreds of vendors from all over the world. We have everything from venues and accommodation, to cars and cakes, flowers and fireworks. New vendors are listing every day and we’re constantly expanding the number of countries. It's nice to be noticed. We're extremely proud to have won these prestigious awards. 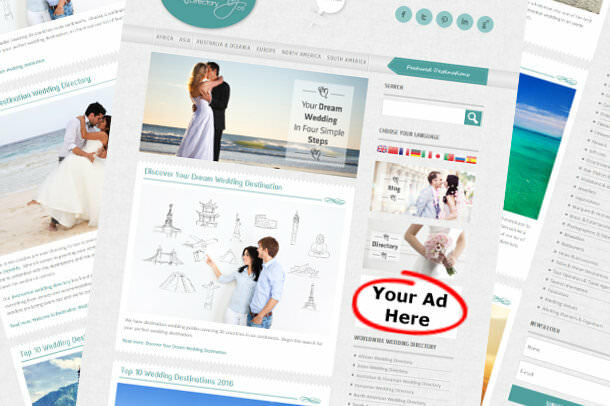 Thank you for expressing an interest in promoting your wedding business at Destination Wedding Directory. We have two fantastic options for you to consider. Learn more about our advertising packages. 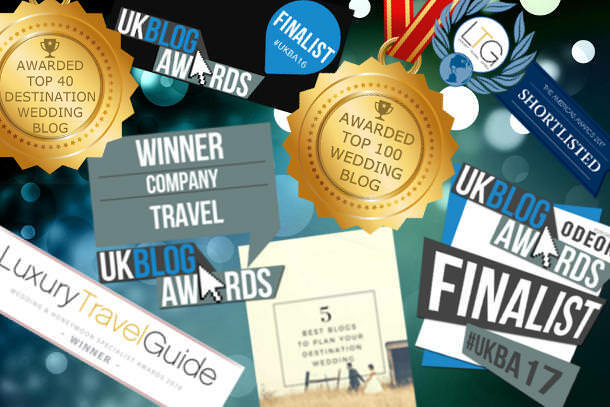 If you like what you see, please help spread the word about Destination Wedding Directory by linking to our website. Here's some badges and logos for you to use.